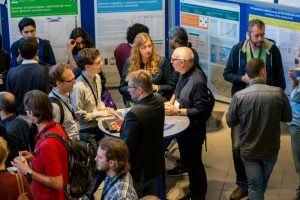 On February 7 and 8 DTL and ELIXIR Netherlands will organise a workshop/hackathon for content providers of Life Science resources such as proteins, samples, beacons, tools and training events and materials in Utrecht, The Netherlands. During the event you can learn how your to make your resources rank higher on Google, Bing, Yahoo and other search pages, how to receive more web traffic and exposure of your work and how to include your resource in relevant registries (like TeSS, the ELIXIR Training Portal). Are you a training provider/organizer with a catalogue of training events and/or training materials or a data provider, curator or manager of Life Science resources such as Biobanks, Proteins, Samples, Beacons, Tools? Then this hackathon may be very relevant for you! In the first half day of this 1.5-day event, participants will learn about schema.org and Bioschemas from experts working on Bioschemas definitions and implementations for ELIXIR resources. They will present some examples of successful Bioschemas implementations in Life Science resources (Proteins, Samples, Beacons, Tools, Training), both from within and outside the Netherlands. The second day will have the form of a hackathon during which participants will work on adding Bioschemas metadata to their resources with the help of the experts. For training resources and events, we will also add them to the ELIXIR’s Training Portal TeSS. This entry was posted in ELIXIR, Event, Learning and tagged TeSS, Hackathon, resources, training.